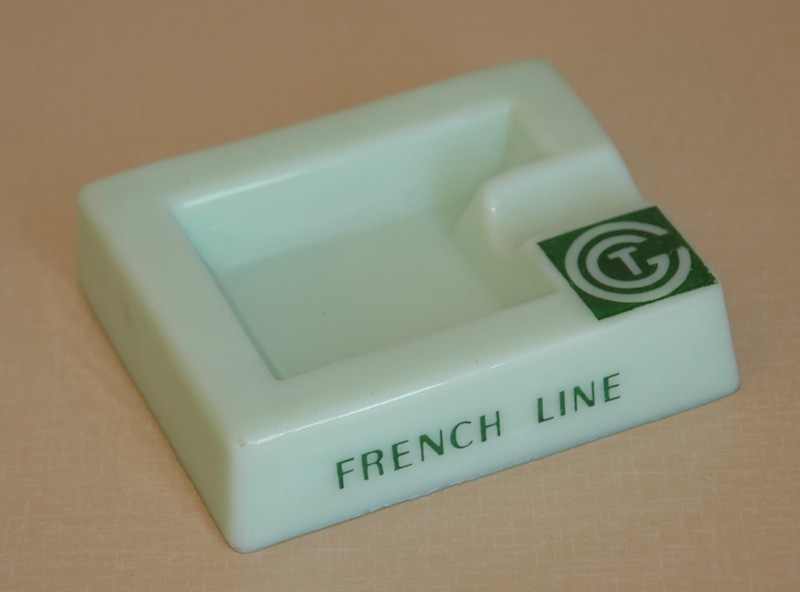 Everyone loved these art deco ashtrays when they were introduced on the Normandie. So much so that many of the Normandie’s were swiped as souvenirs. Because of this the French Line was forced to remove the ship’s name from them. The shape and style remained popular and continued in use after the war. 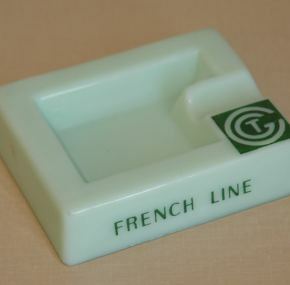 This post-war version is made of glass not porcelain and was manufactured by Opalex. 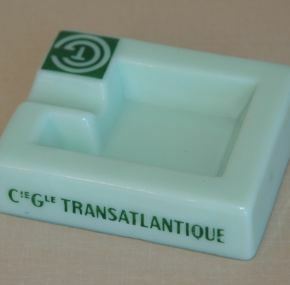 It dates to the Liberté / Ile de France era. 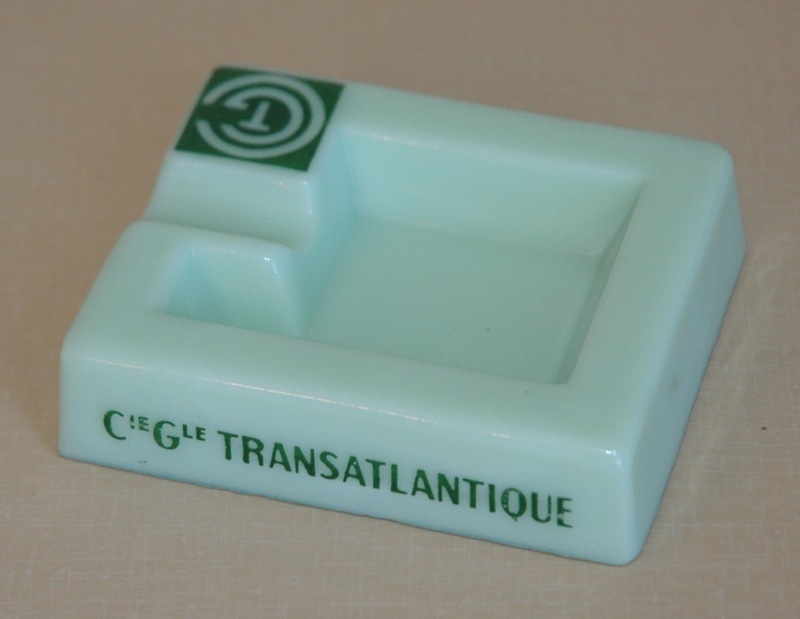 Measures about 3″ x 2½”. Excellent condition with both pink and teal available.